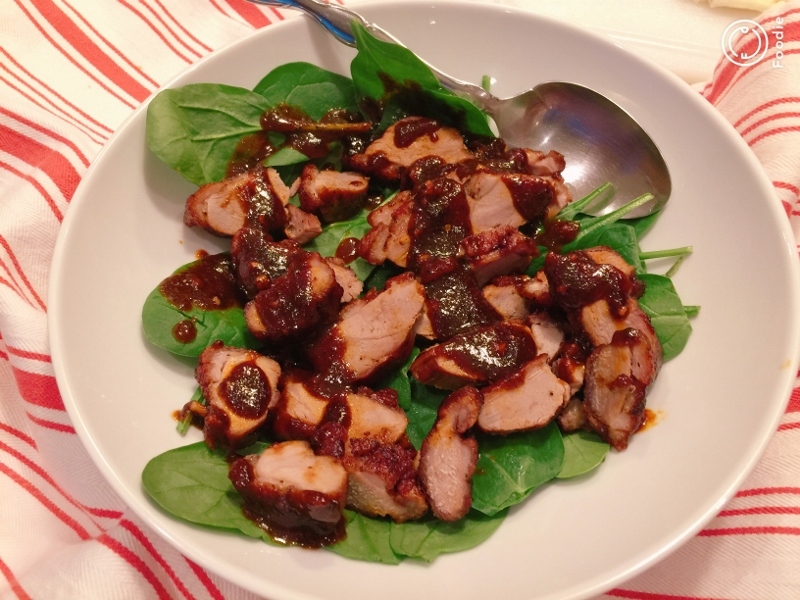 Crispy Duck Breasts with Guajillo Sauce - Recipe! - Live. Love. Laugh. Food. Duck is juicy dark meat poultry that is not cooked very often at home. Duck Confit, duck legs rendered in their own fat and seared until crisp in a hot pan, is one dish that is quite popular in French restaurants. However, Duck Breasts tend to be a little more visible on mainstream menus and rather easy to prepare in your own kitchen. 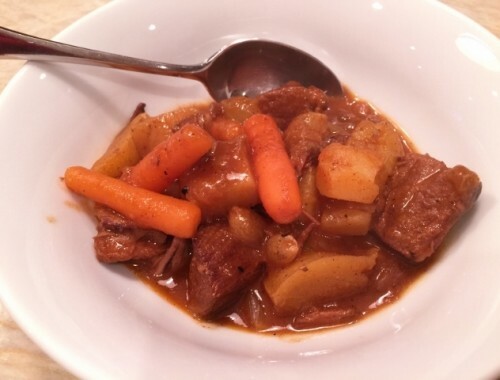 Cooking duck meat is about releasing the fat on top to achieve an extra crispy exterior. To do this right, scoring the fat is the first step. Usually a cross-hatch pattern works nicely, but you can easily make diagonal cuts along the top of the breast. Cooking time varies depending if you like your duck on the rarer side. I prefer my duck a little more cooked, so I leave it in the pan a few minutes longer, until it becomes a light pink color. When cooking duck, the heat needs to remain on medium to medium high, so the exterior is a golden brown and doesn’t turn too dark too fast. I love Mexican food and Guajillo peppers are the chili of choice for most sauces in Mexico. You can pick up a bag of guajillo chili’s in most grocery stores and they do store nicely in your pantry for several months. 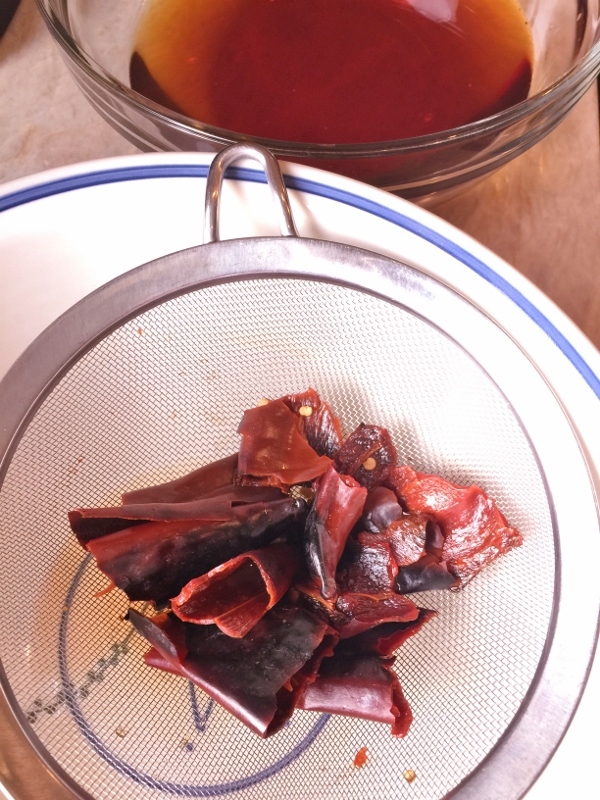 The flavors of guajillo are rustic, earthy with just the right amount of heat. 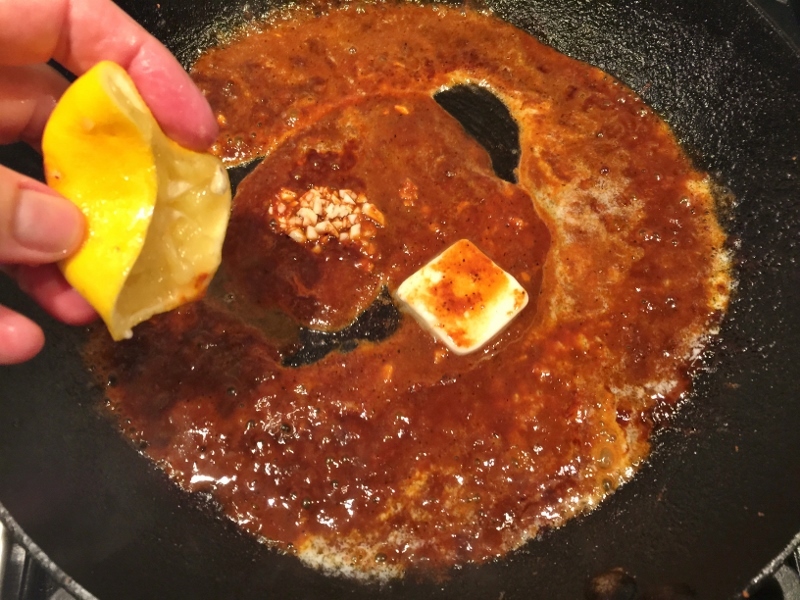 Soaking them in hot water is the first step in creating this delicate sauce. 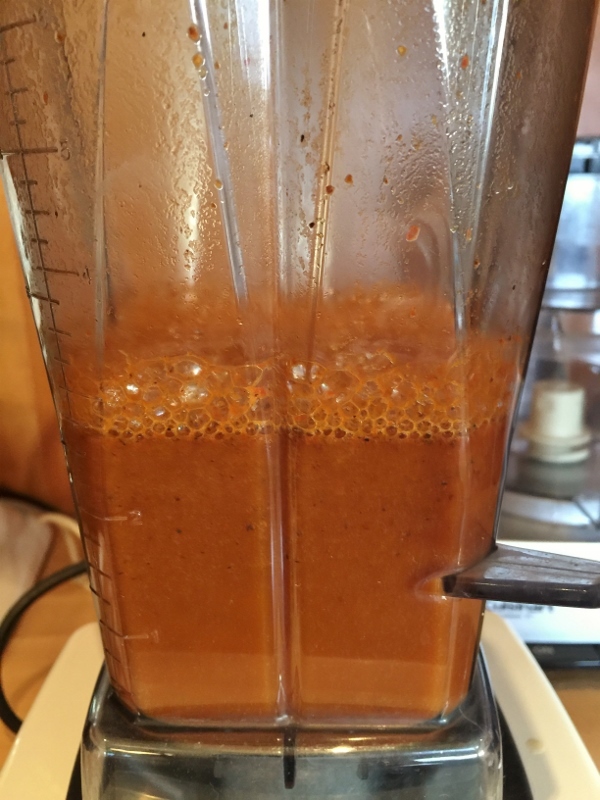 The entire guajillo mixture is pureed in a blender and cooked down with the duck, until a deep burgundy hue. Crispy Duck Breasts with Guajillo Sauce is a dish you definitely need to make on Social Sundays – it will impress your family and it’s super fun to make with a few friends too. I like to serve the duck over fresh baby spinach, but you can saute it, if you prefer it warm. 1. Remove duck from any packaging. Using a sharp knife, cut cross-hatch marks across fat on top of breasts, without cutting through meat. Sprinkle the breasts with salt and pepper. 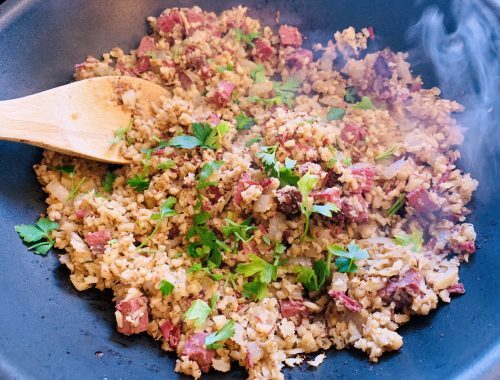 Place a large iron skillet on the stove top over medium-high heat. 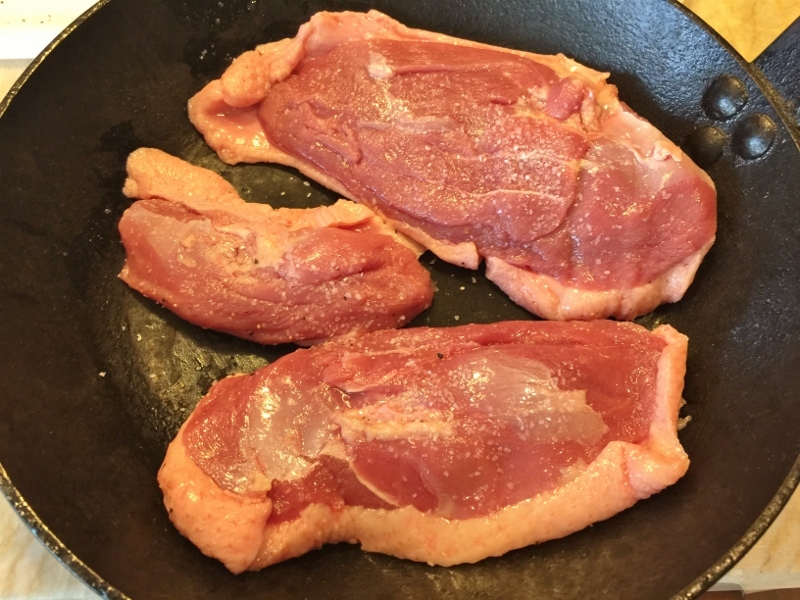 Put duck breasts fat-side-down in pan. Cook on the first side for 10 minutes. Check to make sure the duck isn’t getting too brown too fast, if so, adjust the heat. 2. Remove stems and seeds from chilies. Place in a bowl with 2 cups of boiling water. Soak chilies for 5 minutes, then strain from water. Reserve both chilies and water. 3. 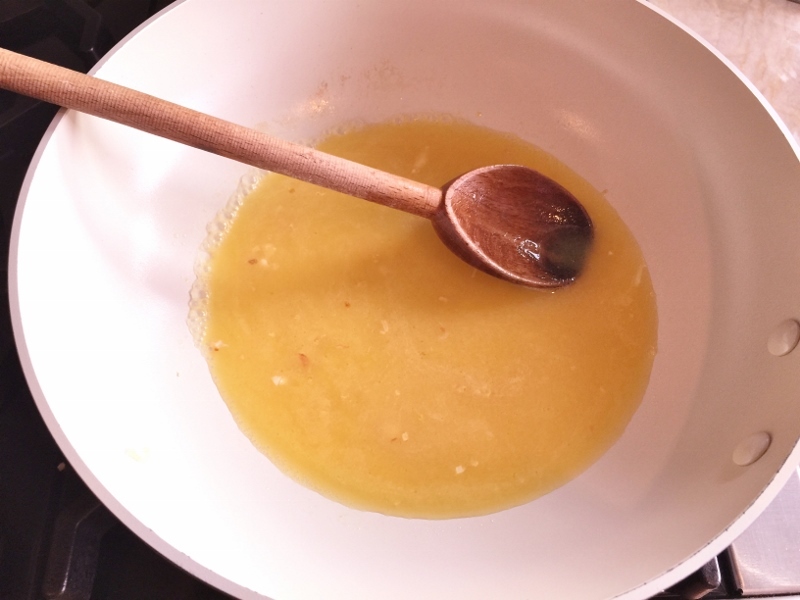 In another saucepan, add 1 teaspoon of oil and 1 clove of garlic, cook over medium heat for 1 minute. Add orange juice and broth and let reduce for 3 minutes. 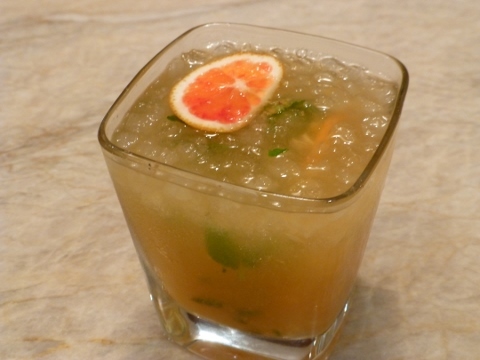 Add chilies, 1 cup of chili water, broth and orange juice mixture to a blender and puree, set aside. 4. 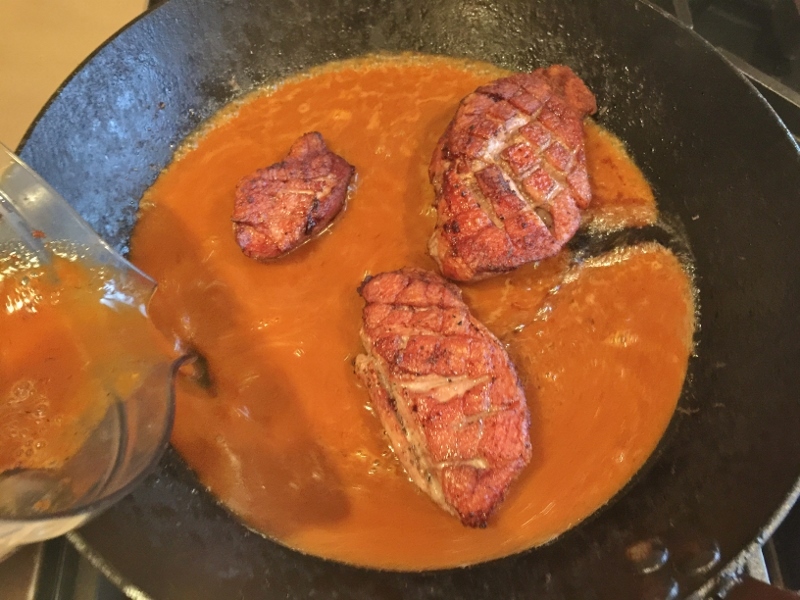 Flip duck breasts over and pour sauce into skillet with duck. 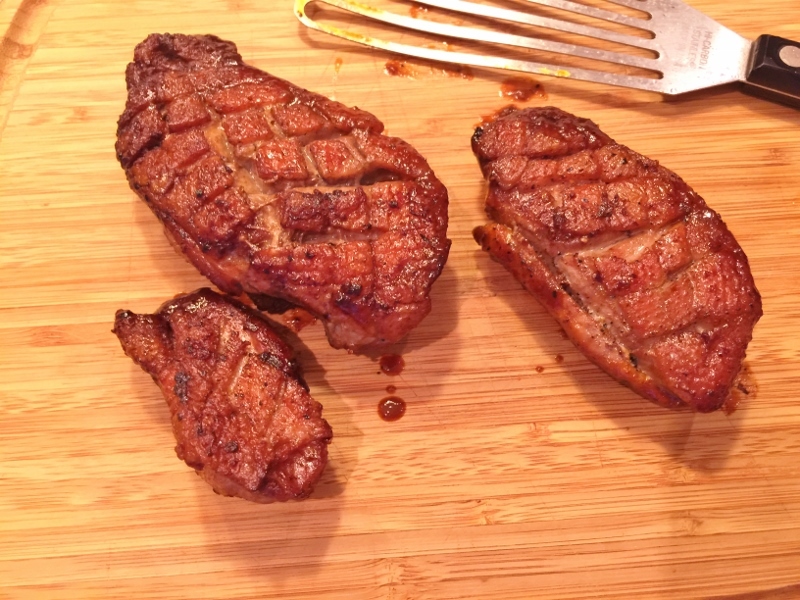 Let duck cook for 1-2 minutes in sauce, add a couple minutes if you prefer medium doneness. 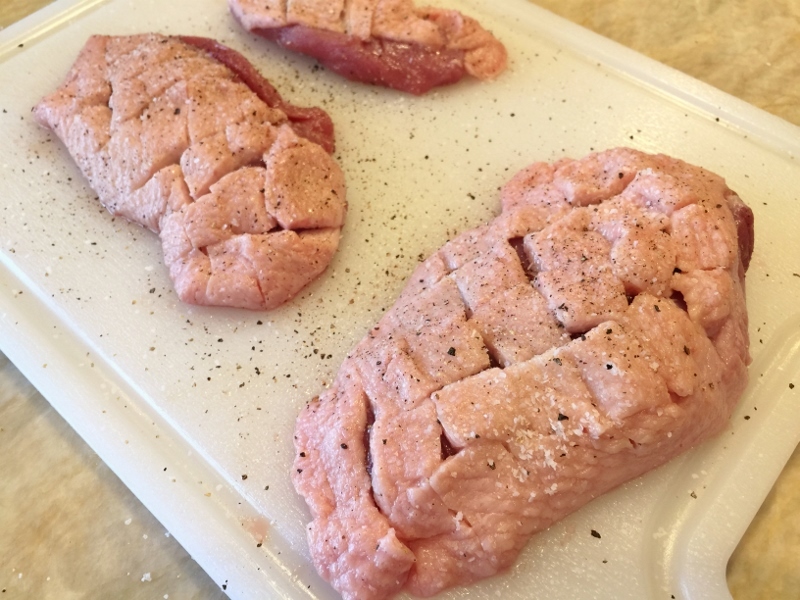 Remove duck and let rest on cutting board. Continue to reduce sauce for 1 minute. Add butter, garlic and lemon juice, stir. Cook for 1 minute and turn off heat. Slice duck across the grain and place on top of spinach. Spoon sauce over breast meat and serve. Enjoy!